Real Life Travel Experiences, Destination Highlights, Guest Reviews, Travel Tips & Special Features! The first time I visited Italy was in 2008. I visited again in 2010 and then last year, 2014. When I travel I tend to “adopt” certain things, foods, traditions from the cultures I love best. Indeed Italy was no different. I continue to make caprese for lunches and dinners – tomatoes, mozzarella and basil with olive oil; my morning espresso in my Bialetti espresso maker every morning; I try to remember to “La Dolce Nar Fiente” in my busy world – the sweetness of doing nothing; and there are many other Italian things I have adopted. One which doesn’t happen regularly but indeed happens is the infamous caffè corretto. Caffe Corretto is an Italian beverage that consists of a shot of espresso with a shot of liquor, usually grappa, and sometimes sambuca or brandy. I personally like to use grappa. 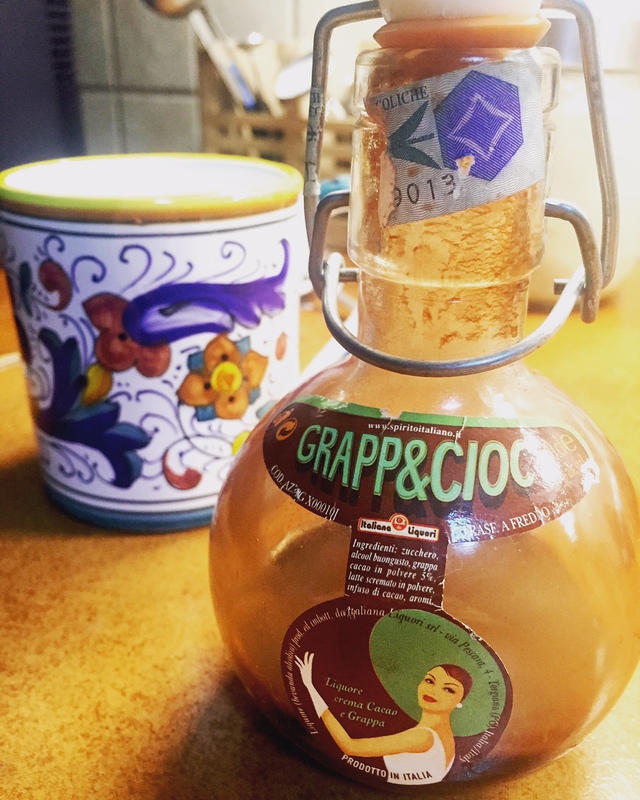 Grappa is a fragrant, grape-based pomace brandy of Italian origin. I may I say…it is very nice. 🙂 I also buy a small bottle of Grapp&Cioc from MALU in Terni everytime I go – chocolate and grappa? HELLO!! In Spain, a similar drink is known as carajillo, and in Sweden and Norway as kaffekask and karsk, (although “karsk” generally implies that the liquor in question is moonshine) respectively. It definitely is something to try…and if you do it right – make your caffe corretto, sit on the porch and watch people, have some soft Italian music in the background – it will feel like, for moment, you are in Italy. Make sure you are signed up for our TRAVEL NEWS UPDATES that are delivered to your inbox 1-2 times a month to keep you up on the latest here at Follow Your Heart Travel Experiences.